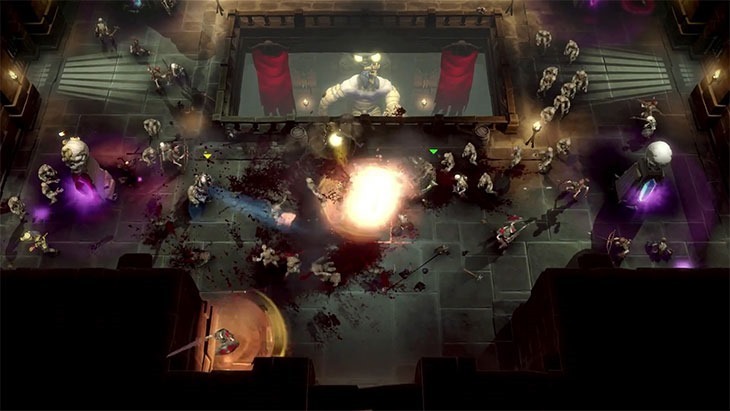 Gauntlet, from Warner Bros Interactive Entertainment has been hit with a small delay. In my opinion, it should be delayed even more. That’s not because it’s bad; it actually looks rather spiffing as far as remakes of old properties go. Gauntlet’s the first game to come out of the Warner Bros Vault, an initiative from the publisher to marry upcoming shining star developers with older games from its long, long list of acquired intellectual properties. It was meant to be released on September 3, but it’s been pushed back 3 weeks so the team can get the PC exclusive’s online multiplayer up to scratch. In a press release, WB has said that the slight delay means that developer Arrowhead can “fine-tune details in order to bring gamers an even more robust multiplayer experience.” That’s a good thing. Fans of dungeon crawling will likely still be wholly engrossed in Diablo 3 thanks to the newest rebalancing patch. The game’s new release date later in September means the game might actually get played, before gamers all over the world are swept away by October’s deluge of games. Accompanying news of the delay is a bit of a developer walkthrough, detailing the game’s four classes. You’ve got Thor the Warrior, Thyra the Valkyrie, Questor the Elf, and Merlin the Wizard, each with his or her own strengths and weaknesses. The Warrior does the most damage, the Elf is the quickest of the lot , the Valkyrie is the toughest and the Wizard has long range magic and arms made of spaghetti. This new reboot blends the old-school top-down horde slaying antics with more modern RPG sensibilities and things like procedurally-generated dungeons. Next article Rumour: Warner Bros want their DC superhero movies to have "no jokes"